Enjoy the top 8 famous quotes, sayings and quotations by Uta Barth. We all expect photographs to be a picture of something. We assume that the photographer observed a place, a person, an event in the world, and wants to record it, point at it ... The problem with my work is that these images are really not of anything in that sense, they register only that which is incidental and peripheral to the implied it. I have never been interested in making a photograph that describes what the world I live in looks like, but I am interested in what pictures (of the world) look like. Specificity of time and place drop away and one starts to think about the picture, as much as what it is of. I keep trying to find ways to shift the viewer's attention away from the object they are looking at and toward their own perceptual process in relation to that object. 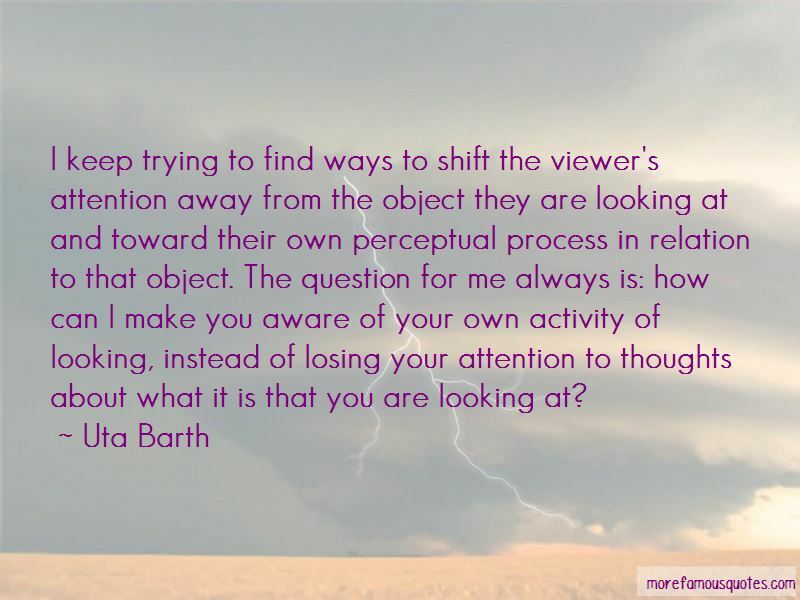 The question for me always is: how can I make you aware of your own activity of looking, instead of losing your attention to thoughts about what it is that you are looking at? 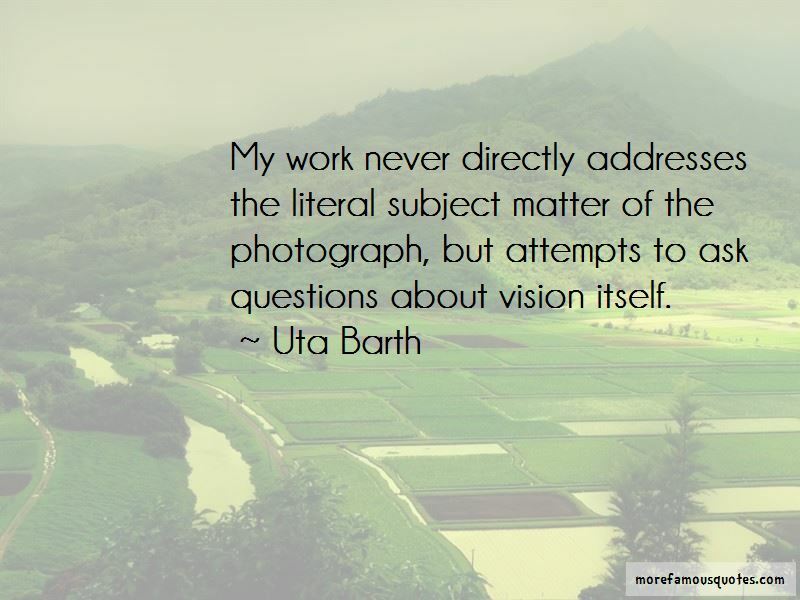 Want to see more pictures of Uta Barth quotes? 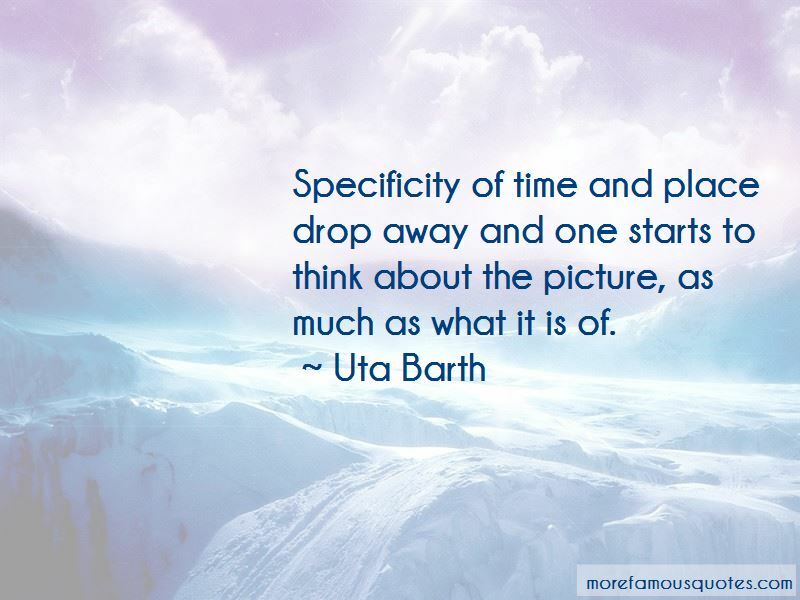 Click on image of Uta Barth quotes to view full size.